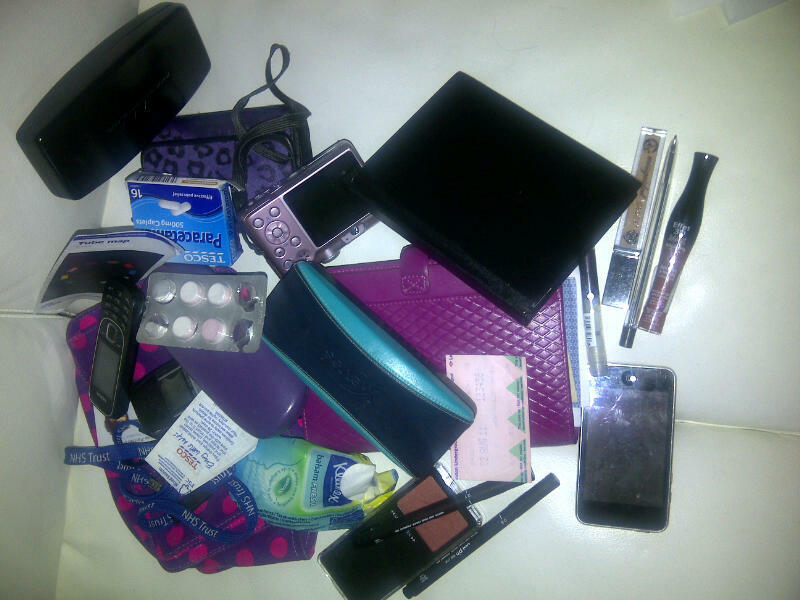 The contents of my handbag….. I was rummaging around for something (again) in my handbag yesterday when it occurred to me that it probably isn’t like your average girlie handbag….. The pink Filofax also takes up a fair bit of room but is obviously essential and then there are the THREE pairs of glasses I have to carry with me – one pair for driving, one for reading and a snazzy pair of prescription sunglasses in case the sun should ever come out while I am driving along, which it has only done twice so far this year since I got them, by the way!! !